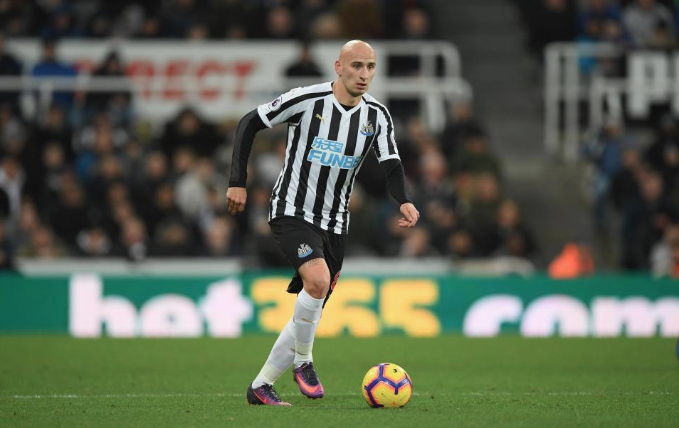 NUFC fan makes brilliant point when weighing in on the Shelvey debate – It’s hard to disagree.. – NUFC blog – Newcastle United blog – NUFC Fixtures, News and Forum. Football fans are a fickle bunch; and I include myself in that statement. I remember watching England v Denmark in the last sixteen of the world cup in 2002. I saw the team announced and Heskey was starting up front (this was just after a certain Mr. Shearer had just retired from international football). The game kicked off and I remember saying to the guy next me “I want to know who told Heskey to be a footballer?” to a nod of agreement. A few minutes pass by and Heskey opens the scoring for England. Once the cheering had died down I turned to the guy and said “To be fair to him he deserves his call up.” then we both started discussing the plus point he brings to the England team. Football fans are fickle! It surprised me recently to see the results of a “Would you sell Jonjo Shelvey for £20m to West Ham”. It almost seemed like there were volunteers to help him pack and give him a lift to London. I personally voted remain. Have we forgotten that Shelvey could have followed Townsend out of the door following our relegation to the Championship? Have we also forgotten the pivotal role he played in our return to the Premier League or his part in our mid-season revival last. I feel that the big reason for this is the emergence of Sean Longstaff; and we have all fallen in love with “one of our own”. However, this is not a monogamous relationship. It’s not either/or. We are not cheating on Longstaff if we praise Shelvey. Personally I’m salivating at the prospect of those two forming a partnership in the heart of the Toon Midfield completing the spine from our great keeper and central defenders to our number 9. Shelvey has not had the benefit of our new setup yet. Rondon was late coming into the side and Jonjo was not at his best and then injured. Having confident players around him making the right runs allows Shelvey to pick his passes and be the midfield General that we all know he can be. It’s the 80th minute and the game is there to be won. We have regained possession and are on the break. Almiron is breaking left and Perez to the right. Rondon is making a nuisance of himself with the central defenders. The two wingbacks have overlapped and the opposition is hurriedly tracking back. Which player do you want to have possession of the ball? For me it’s Shelvey. It’s great we have Almiron injecting pace and a bit of quality into our attack. I love the fact that Longstaff is looking like a talent; but for me Shelvey is still the best player we have and I for one would like him to remain a toon player. Shelvey needs to play vs Everton along with Ki/ Hayden.